Start: 10:00 a.m., at the 13.1-mile marker of the full-marathon course. Field: Limited to 650 runners. Complimentary buses will transport runners from the Town of Schroon to the start of the race. Buses depart starting at 8:40 a.m. to 9:05 a.m. from Route 9, next to the Adirondack Inn, just south of the start of the full marathon. The half-marathon will be held on the second half of the full-marathon course. 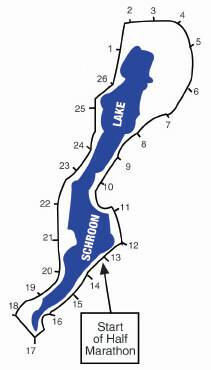 The first five to six miles are flat, along the east shore of Schroon Lake. Then, there are long, gentle hills on Route 9, leading north to the town of Schroon. Entry fees will increase the closer we get to Race Day, so don’t delay to lock in the lowest price possible. Runners who opt to defer their race entry until the 2020 running will be required to pay a $25 deferral fee when registering for the 2020 race. You must personally come to the expo or packet pickup and show a photo ID to receive your bib and timing chip. No exceptions will be made. By order of NYS DOT. Water and Powerade sports drink will be available at stations roughly every two miles until mile 20 (mile 7 for half-marathon runners), then every mile from 20-25. Finish area has water, Powerade, fruits, vegetables, and other goodies. Official race photography will be provided by Pat Hendrick Photography, who specializes in athletic event photos in Upstate New York, Vermont, and beyond. Prints and digital files will be available for purchase after the race at PatHendrickPhotography.com. Bags for running gear will be supplied and transported to the merchandise tent at the finish area. The Adirondack Marathon reserves the right to search any bag at any time, both within and outside the baggage area. Each runner who completes the course will receive a finisher’s medal. Prizes will be given for the top three overall finishers (male and female) based on clock time, and the first finisher in each age category based on chip time. You must be present at the post-race awards ceremony to receive your award. 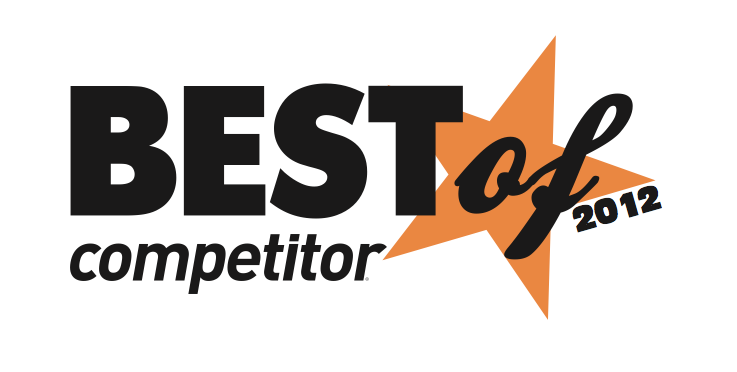 Click here for more details and to see past results. You must show a photo ID to pick up your bib and chip. Bib required to participate and must be visible at all times. Coaches, dogs, in-line skates, skateboards, bikes, baby-joggers and BANDITS will not be allowed on the course. All runners must stay to right of the center line when on Route 9 (last 8 miles of the race). We will keep the finish line open and record official times for 5.5 hours (until 3:30 pm). However, all roads will re-open to cars at 2:30 p.m. and there will be no on-course services after that time. There is no Early Bird Start for half-marathon walkers. When nearing the Finish Line, please do not have family or friends join you through the finish chute. All runners must run over all timing mats on course. Timing mats are located at the start, miles 18.2 and 25, and the finish line. Timing services provided by Granite State Race Services, utilizing the ChronoTrack disposable timing chip on the back of your race bib. Click here to download a PDF map of the village, including race day parking. Click here to read about race-day road closures.